See the Big Picture! Two Maps! 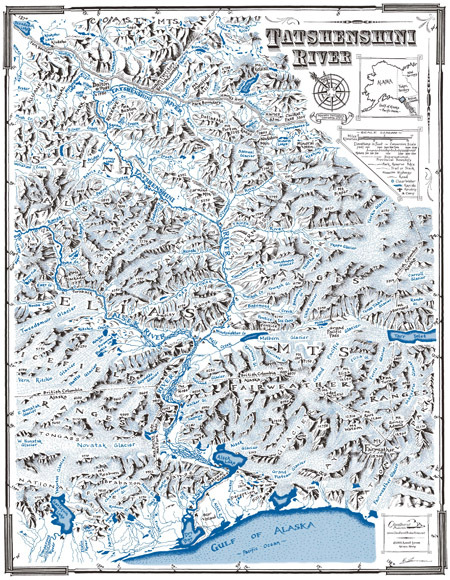 Although not a topographic map, it was drawn DIRECTLY from 5, 1:250,000 scale topo maps, then reduced to a manageable 18" x 28" at 1:400,000 scale. 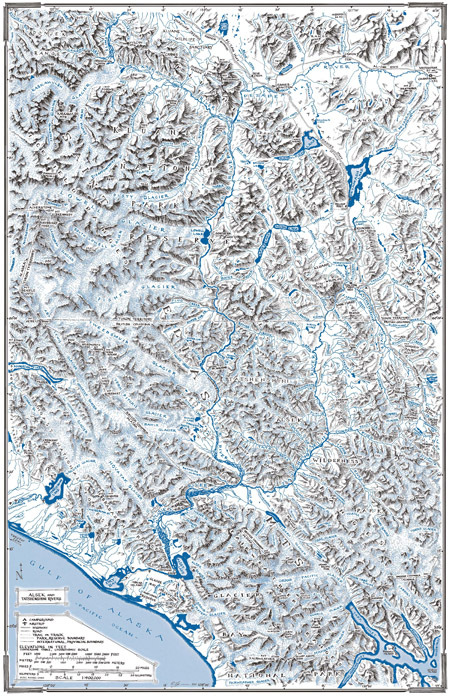 The backside has just the Tatshenshini River shown at 1:250,000 scale. 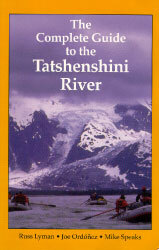 It's a great way to see the 'big picture' of the Alsek/Tatshenshini River system, and follow your progress as you head downstream. Printed on recycled paper. Use this button to order a ROLLED map. 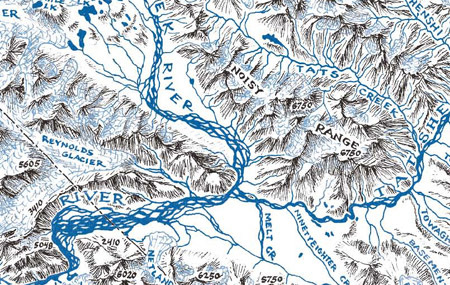 Provides names of many major tributaries not named on the 1:250,000 scale topographic maps, as well as showing the overall picture on one sheet. Main camps and clear water sources are indicated on the Tatshenshini map.